The new Full Wrap PlayBook Video Player with a soft-to-the-touch full-color printed cover is a beautiful and luxurious way to stretch your creative muscles when delivering your videos, slideshows, and more. A template is required to customize this product. 1. Download the Photoshop template by clicking the icon below. 2. Insert your design/image(s) to the "PLACE ARTWORK HERE" layer. 3. Turn off or delete the "ARTWORK GUIDELINES" layer. 4. Choose "Save as..." and save file as a .PNG and upload below. PLEASE NOTE: final uploaded designs may take some time to upload, do not refresh page. Expanding on our wildly successful original PlayBook Video Player, the new soft-to-the-touch full wrap version with a fully customizable design template-based cover will give you the creative freedom to include custom designs, logos, images and more. The beautiful high-quality color printed (and hand applied) cover has an amazingly soft feel that will leave your clients awestruck. The PlayBook is an amazing way to display your work in a video player form. 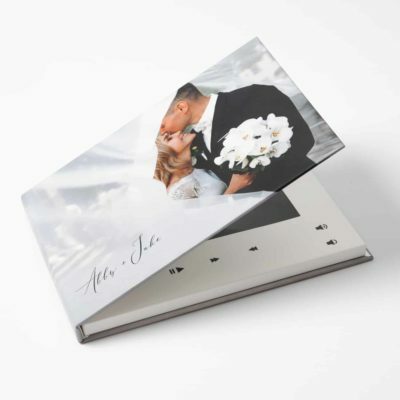 This product has a number of uses: slideshows, wedding videos, digital file delivery, in-studio samples, portfolio, self-promotion, promotional leave behind and so much more. 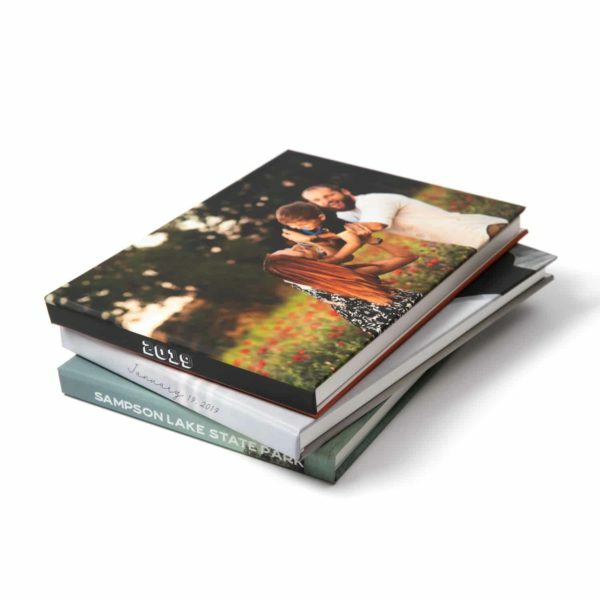 7 Creative Ways to use the PlayBook Video Brochure. Check out the dedicated section of our Help Center.